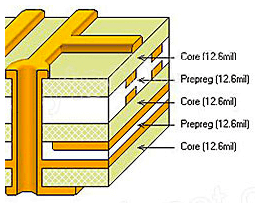 For PCB prototype, we can fabricate high-quality PCBs from one up to ten layered PCBs, with very competitive prices both for PCB prototypes and mass production of PCBs. We have our office in Shenzhen, China, which is providing our clients with 24 hours live online service and assistance. What’s more, we have 2 factories specializing in PCB manufacturing and PCB assembly located in the heart of China’s “Silicon Valley” Shenzhen providing technological support to our customers. There may be some inevitable problems in PCB prototyping; we will try our best to provide our consumers with the most effective solution. For PCB prototype and low volume fabrication services, we are offering comparatively lower prices than other companies. In addition, we do not add any additional charges for the different number of drill holes, but many other companies do. We always deal in transparent pricing and do not add any extra hidden charges; you can always rely on us to give you the best we have to offer in reasonable pricing. In order to provide our consumers with the most accurate quotation, our professional staff will check your PCB design files for any errors before we proceed with PCB manufacturing. But if you have not finished your PCB design yet, you just need to put your detailed PCB information, such as board quantity, board size, number of layers and so on, to the instant quote on our website, and then you will get the approximate price. It would be better to let us know if there are any other additional manufacturing guidelines that could alter the price. Once you submit your PCB quotation, we will respond as soon as possible. Note: It would be better to upload your PCB Gerber file directly on our web than to send it via email. We will eventually manufacture your PCB with the design file on our web. PCBGOGO provides 1-10 layers PCB fabrication, from prototype to mass production, with high quality, quick turn and highly effective cost. We are one of the top PCB fabricators in China and our PCB manufacturing process is strictly oriented and systemized for achieving the best quality PCBs we can offer. Printed circuit board artwork generation was initially a fully manual process done on clear Mylar sheets at a scale of usually 2 or 4 times the desired size. The schematic diagram was first converted into a layout of components pin pads, then traces were routed to provide the required interconnections. Pre-printed non-reproducing Mylar grids assisted in layout, and rub-on dry transfers of common arrangements of circuit elements (pads, contact fingers, integrated circuit profiles, and so on) helped standardize the layout. Traces between devices were made with self-adhesive tape. The finished layout "artwork" was then photographically reproduced on the resist layers of the blank coated copper-clad boards. All boards undergo free AOI optical scanning and flying probe test to guarantee top-notch quality. We are the largest PCB fabrication center in China with 500 engineers and workers. Our PCB factory focuses on PCB fabrication, equipped with the most advanced machines imported from Japan and Germany. We can offer PCB fabrication, SMT & PCB assembly, and parts sourcing. Submit your first online quote on our website now!